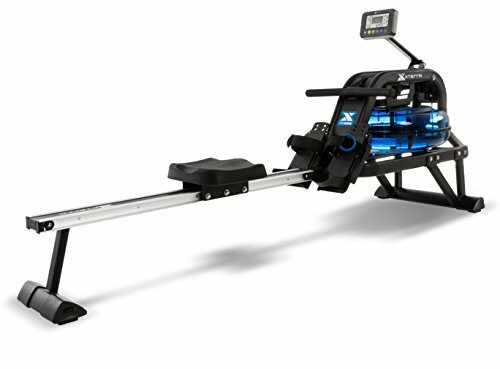 Bring the unparalleled full-body workout of on-the-water rowing home with the premium design and feel of the XTERRA Fitness ERG600W Water Rower. The full body rhythmic nature of rowing makes it wonderfully efficient at burning calories while also developing flexibility and strength. Plus, the "zen-like" water movement you hear from the ERG600W multi-bladed impeller can be soothing and meditative. • Assembled dimensions (L x W x H): 80.7" x 22" x 33"
• Standing up (stored) dimensions (L x W x H): 33" x 22" x 80.7"